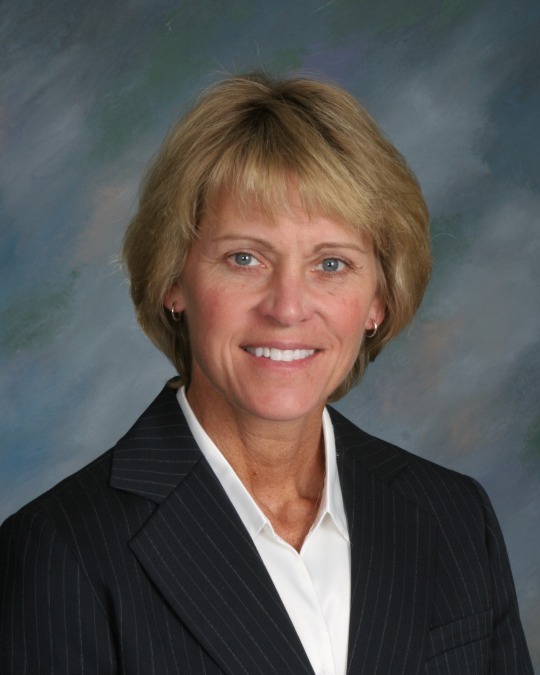 Dr. Karissa Niehoff has worked in Connecticut public education since 1989 as a teacher of physical education, health and Latin; a K-12 Wellness/Exercise Science Department Coordinator; coach of multiple varsity sports; athletic director; middle school assistant principal and high school principal. In 2010 she was named Executive Director of the Connecticut Association of Schools-Connecticut Interscholastic Athletic Conference. She also served for four years on the Education Committee of the United States Olympic Committee, is co-founder and Dean of the "Passing The Torch" Academy For Youth Sport Leadership, and is currently a member of USA Field Hockey’s Board of Ethics. Karissa earned a BS in Health and Physical Education from the University of Massachusetts, a Masters in School Health Education from Southern CT State University, a Sixth Year degree in Educational Leadership from Central CT State University, and a Doctorate in Educational Leadership from the University of Connecticut. As Executive Director of CAS-CIAC, Karissa is only the sixth woman in US history to lead a state high school athletic association. Who is one woman that has made a difference to you and why? There are so many…but if I have to name just one I would have to say my mother. She is the consummate model of goodness. She cares for people, animals and the Earth. She rescues each- the student struggling to learn, the squirrel that lost its mama, or the last, saddest looking flower in the flat. She will do anything to help others to thrive; never seeking recognition; and always underestimating her impact. She is principled, honest, kind, talented, and has a terrific sense of humor. Her strength lies in the consistent, gentle way she is in the world. She lives her middle name- Grace. I believe that we are put on this Earth for a reason; we have a purpose and a moral imperative to pursue it; to combine passion with contribution; to look, listen, choose and act. Looking back on your own leadership path, what advice would you share with younger women today? Leadership can be at once rewarding and extremely challenging; sometimes a lonely place. So, one of the first pieces of advice I would offer is to develop self-confidence. One of the most courageous things you can do is identify yourself, know who you are, what you believe in and where you want to go. Everyone has talent and potential. Everyone is meant to shine. But feelings of inadequacy can sometimes be our deepest fear and can cause us to shrink away from that potential lest others feel insecure around us or be judgmental about our choices. If we can model confidence and grace, then others will be encouraged to do the same; to recognize their own talent and potential. Other great advice comes from Pegine Echevarria, MSW, CSP. In Female Leadership in Manufacturing, STEM and Sales she says that leaders should demonstrate “The Four A’s”- Appreciate, Acknowledge, Accept and Applaud. Acknowledge a job well done. Acknowledging a leap past a fear or acknowledging a thoughtful note makes a world a difference to you and to them. Acknowledging someone is a key leadership tactic, because it reminds you that you can’t do what you do alone. To be an effective leader you have to be able to delegate, to delegate you have to trust people. You gain trust when you start noticing what they have done and are currently doing. It takes more vigilance, vision and virtue to identify and acknowledge what is being done for the good of the organization as opposed to identifying what is being done wrong. Great leaders acknowledge others. Accept where people are and accept your relationship with them. Often times conflict comes because you like doing things one way, they like doing things a different way. Accept them as they are and the current situation and focus instead on the outcomes. Did they accomplish the task? Was it done on time? Was it well done? Did you communicate your wishes, effectively? Once you accept things as they are, then, and only then, can decide how you will change. It is through your changing that they change. Your communication style, tactics and point of view will transform the results. People know when they are being accepted. Their guard goes down and the team wins. Your stress level will also decrease, a win for you. What is your favorite quote by a woman?